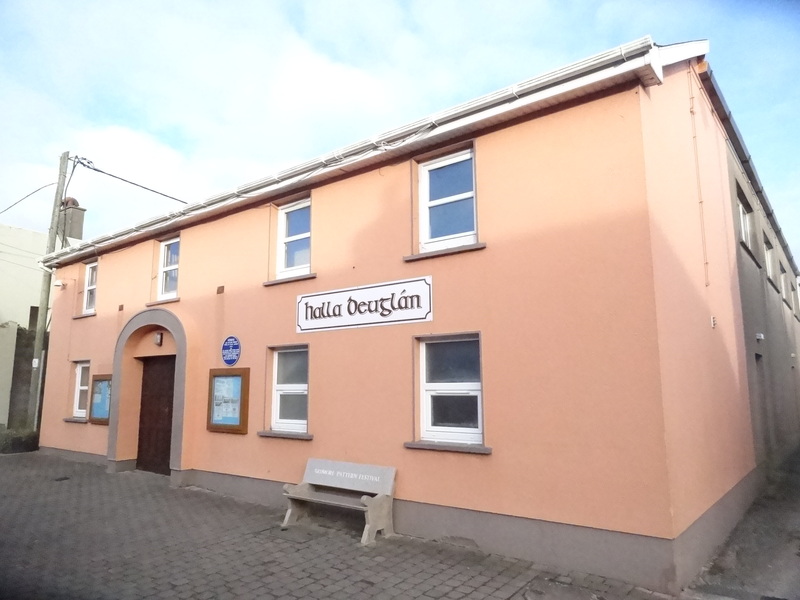 The original Halla Déuglán was built in 1914 by a committee led by Fr O'Shea (who lived in the parochial house across the road, Myrtleville). The committee wrote to a firm in Manchester who sold pre-fabricated buildings and they supplied the framework and corrugated iron cladding. Local people supplied the labour voluntarily for the construction of the hall. The 'package' came via Liverpool to Cork by ferry, to Youghal by train and was collected at Ferrypoint by locals using horse & dray.